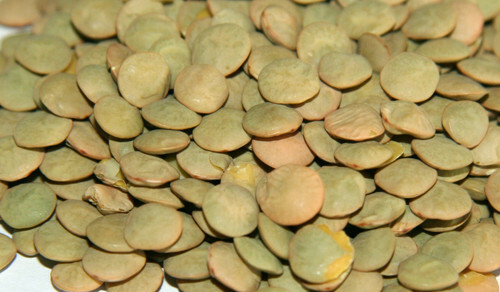 For some reason I’ve been craving lentils lately as I have been searching for meals that have more fiber and less carbs. I wanted to create a heartier dish that would feel more like an entire meal than merely a side dish. 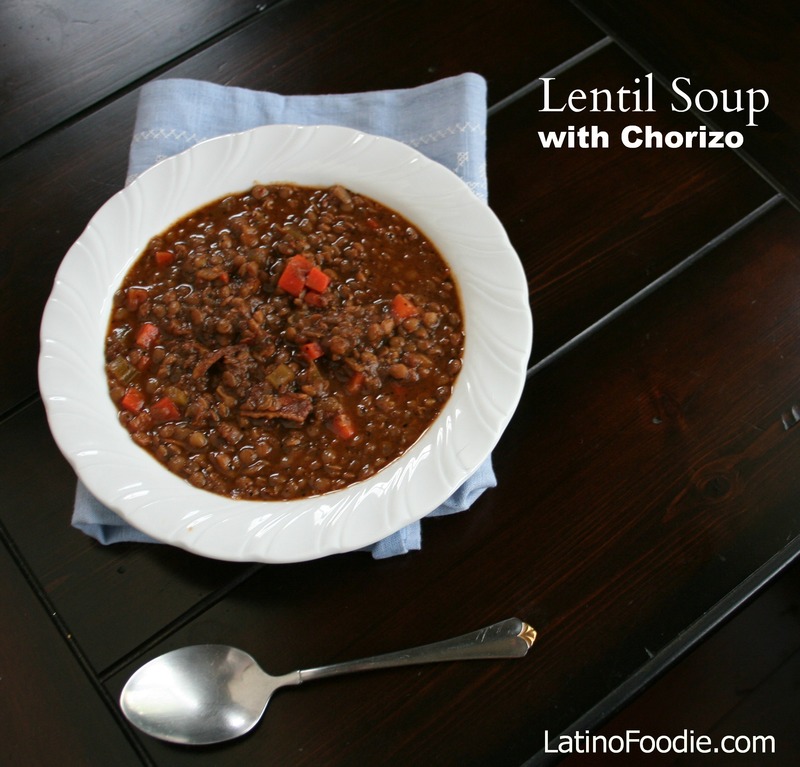 The heat in this soup from the toasted New Mexico chiles and crumbled Mexican chorizo takes your ordinary lentil soup to a whole new level. The bacon adds nice substance and a robust flavor. While serving, squeeze some fresh lemon and top with cilantro. Adapted from a recipe by Mary Sue Milliken and Susan Fenger’s Mesa Mexican cookbook. Toast the chiles in a dry skillet over medium-high heat until brown all over; they will soften, bubble and release their aroma. Be careful that they don’t burn. Place the chiles in a saucepan with the water. Bring to a boil, reduce to a simmer and cook for 5 minutes, or until soft. Transfer the chiles with their water to a blender or food processor and puree. Reserve. If the mixture is too thick, add a bit more water. Fry the bacon pieces in a large heavy stockpot over medium-high heat about 4 minutes. Stir in the crumbled chorizo and sauté for 3 minutes longer, or until browned. Spoon out excess fat. Add the onions and cook, stirring occasionally, until golden. Then stir in the garlic and cook for a few minutes to release its aroma. Add the lentils and reserved chile puree and sauté an additional minutes. Pour in the stock or water. Bring to a boil, reduce to a simmer and cook 10 minutes, occasionally skimming and removing the fat from the top. Stir in the carrots, celery, salt and pepper. Cook, covered, over medium-high heat about 40 minutes, skimming and discarding the fat from the top. What worked well was allowing the soup to sit uncovered for about 20 minutes so the remaining fat floated to the top. Skim the fat with a spoon. Reheat the soup when ready to serve. Sprinkle with the chopped cilantro and serve hot with the lime wedges. I was trying to cut down on carbs, but thought to myself, this soup would be perfect with a bolillo or crusty French bread.